The testing campaign to identify the best site for the Thirty Meter Telescope (TMT) has been one of the most complete atmospheric studies in recent years. 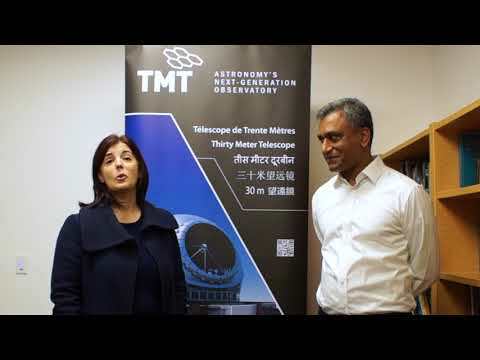 The TMT project office and the U.S. National Science Foundation provided funding for the site testing campaign, led jointly by the TMT and the Association of University Research in Astronomy (AURA). The TMT site testing included a total of five sites, three of them located in northern Chile, one in northern Mexico, and one near the summit of Mauna Kea in Hawaii. This effort, carried out for about four years at most of the sites, resulted in the acquisition of a long-time series of important parameters such as: atmospheric turbulence, air temperature, air pressure, wind speed and direction, as well as the integrated amount of water vapor in the atmosphere above the tested sites. It also included information on cloud cover, soil temperature, and energy fluxes. Results of this extensive site testing campaign are already available in the peer review literature and in conference proceedings. Moreover, the whole database, including data for all the parameters studied by TMT, was released publicly in January 2010, and is available for scientists around the world to support their own scientific research. Similarly, the European Southern Observatory (ESO), the organization responsible for the European Extremely Large Telescope (E-ELT) project, conducted its own atmospheric studies to identify the best location for this large aperture optical and infrared telescope. TMT and ESO shared information on site testing results. In April this year, ESO announced their decision to build the E-ELT at Cerro Armazones, a site studied by the TMT site testers. As a way to further disseminate to the scientific community the availability of the TMT site testing database and to share with the interested community some of the results, obtained in the frame of the site testing campaign carried out in northern Chile, TMT and ESO are jointly sponsoring the organization of the Astronomical Site Testing Data Conference, to be held in Valparaíso, Chile, December 1-3, 2010. This event will be hosted by the Universidad de Valparaíso and is endorsed by the Chilean Commission for Science and Technology (Conicyt). During the three months registration period, more than 60 researchers from Chile, North America, Europe, and Asia signed up to participate in this event. The subjects of their talks range from instrument development plans to results of the analysis, not only of the TMT and E-ELT site testing studies, but also of other major projects already available or in construction in northern Chile.